Satiny, ruddy peach with a gentle gleam, but no shimmer. (surely you put on a string of pearls and high heels to do housework, doesn't everybody?) 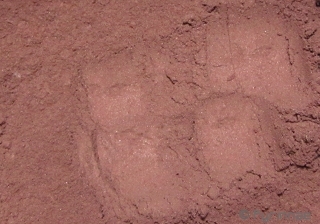 Similar to Orangutan, but less shimmery, and with a pink tone. Swatch applied over bare skin.